Bronnadh an dara bhrat glas, ar son fuinnimh, ar phobal Ghaelscoil Uí Earcáin sa bhliain 2017 ag searmanas sa Helix. Bhí daltaí scoile ón gCoiste Glas ann chun an brat a glacadh ar son na scoile. 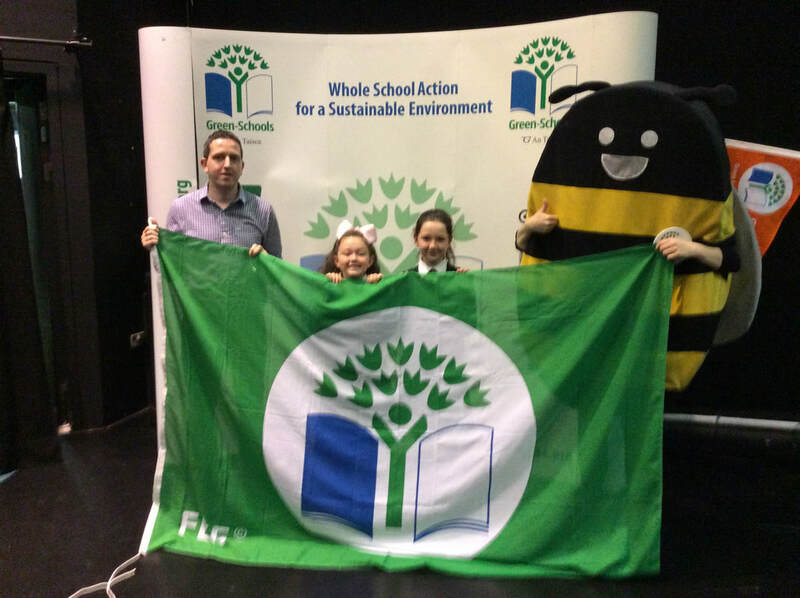 ​Representatives from Gaelscoil Uí Earcáin- both pupils and teachers were in attendance at the Helix in June 2017 for the “Green Flag” presentation ceremony, when the school received its second flag in recognition of the work done in school on reducing the use of energy and increasing the ways to save energy both in school and at home. 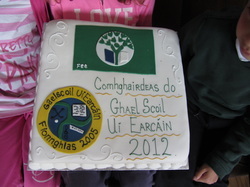 Bronnadh an chéad bhrat glas, don bhruscar, ar phobal Ghaelscoil Uí Earcáin sa bhliain 2012 ag searmanas i bPáirc an Chrocaigh. Bhí daltaí scoile ón gCoiste Glas ann chun an brat a glacadh ar son na scoile. ​Representatives from Gaelscoil Uí Earcáin- both pupils and teachers were in attendance at Croke Park in June 2012 for the “Green Flag” presentation ceremony, when the school received its first flag in recognition of the work done in school on reducing waste and increasing the ways to recycle some of this waste.